Heirloom seeds are becoming increasingly more popular, but even so, they can often be difficult to find in garden centers and other places that sell gardening supplies and seeds. And even if you are able to find a few heirloom seeds, the selection is usually nowhere near as large as what you can find when you shop online. So today I wanted to share a few of my favorite online stores that I consider to be the best online sources for heirloom seeds. One of the many reasons why apples were such a popular fruit in previous centuries is the fact that they are one of the few fruits that will keep well in long term storage. Unlike berries that will only keep for a few days if you don’t dry them or turn them into jams and jellies, apples that are stored properly can often last for several weeks or even months. 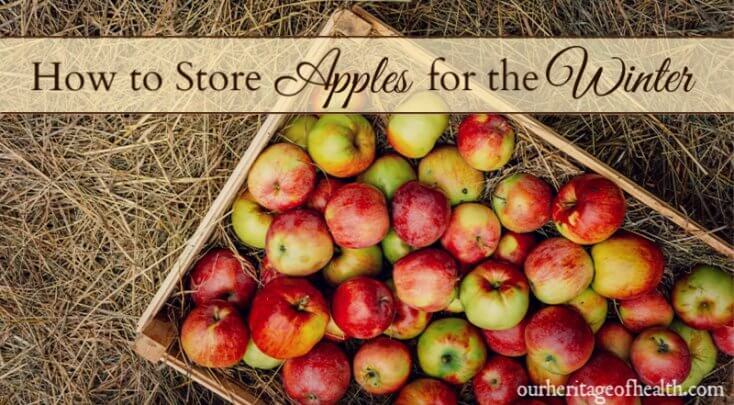 This is one of the reasons why knowing how to store apples for the winter months was such an important skill for our ancestors who needed to have enough food in storage to last them until spring. Today I’m happy to share with you a guest post from Cindy Keller of MyGardenGifts.com. Cindy will be sharing some tips for growing fruit in containers. 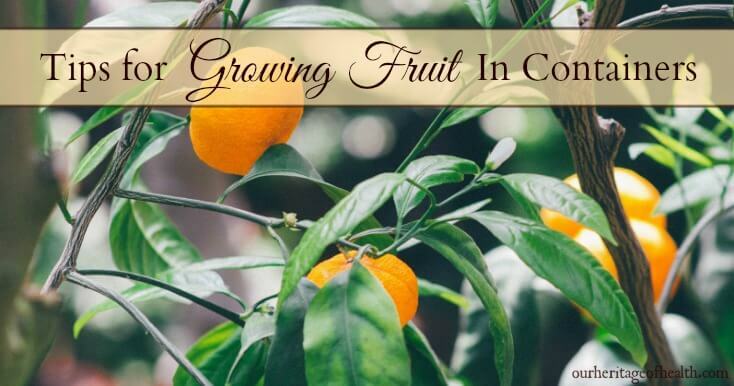 Growing fruit in containers is something I’ve never tried before in my own garden, so I was excited to be able to learn more about some of the best tips for using containers to expand your gardening options! 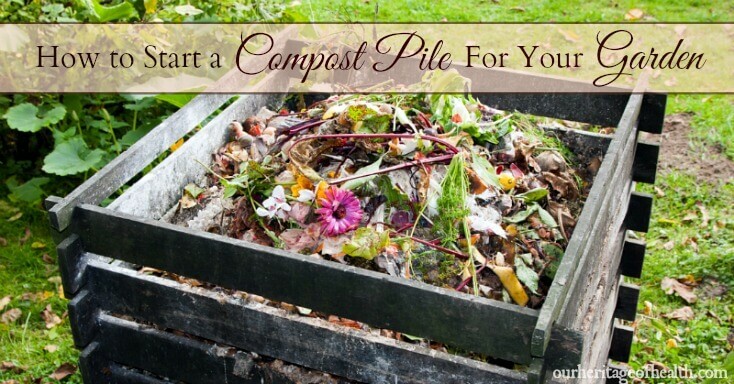 Many gardeners have discovered the joy of growing fruit in containers. You can produce delicious crops in containers that are not only free of chemicals but are both rich in nutrients and absolutely fresh. Most fruiting plants are also extremely decorative and are grown for the way they look. They adorn well when placed in niches in your garden such as the patio or front door entrances. As an example, apples are often grown in containers for their ornamental virtues as well as for their edible fruits while strawberries are suitable when planted in hanging baskets as well as in multi-holed terracotta pots. 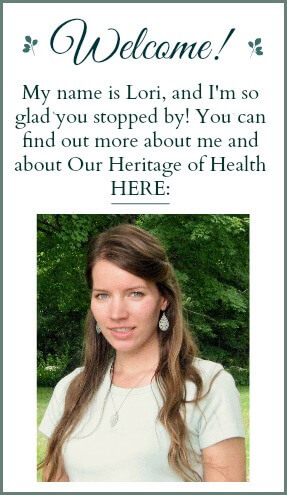 Today I’m happy to share with you a guest post from Darcy Brandt of medicinalherbals.net. Darcy is going to be sharing with us today some tips for growing herbs indoors from seeds. 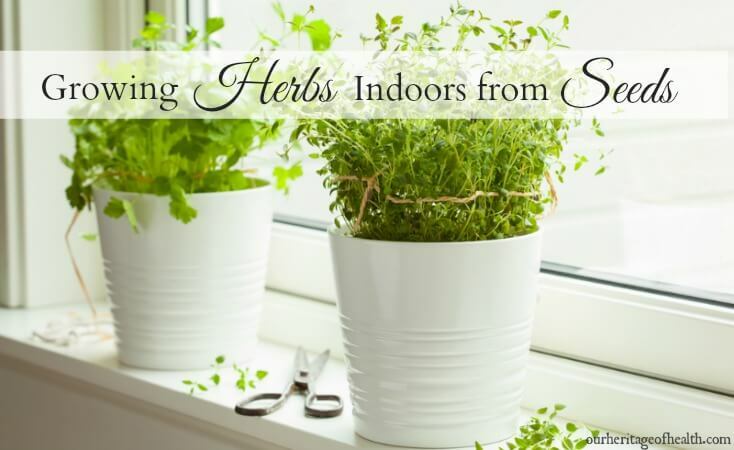 This is a topic that I was excited to learn more about because I’ve only ever planted herbs from seedlings and I’ve never tried growing herbs from seeds, and I also love the idea of being able to grow herbs inside during the times of the year when you can’t grow them outside. 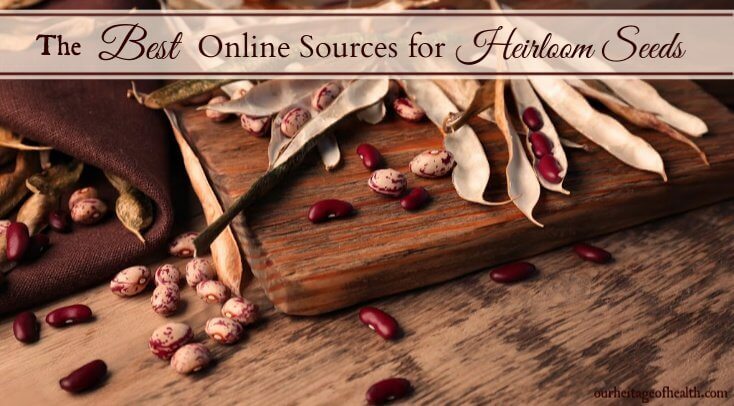 If you want to learn more about herbs, you can check out Darcy’s website! Starting from seeds can be a little tedious, but I love giving my annuals a jump on the growing season by starting them from either the seeds I collected the previous summer or from seeds I order online. 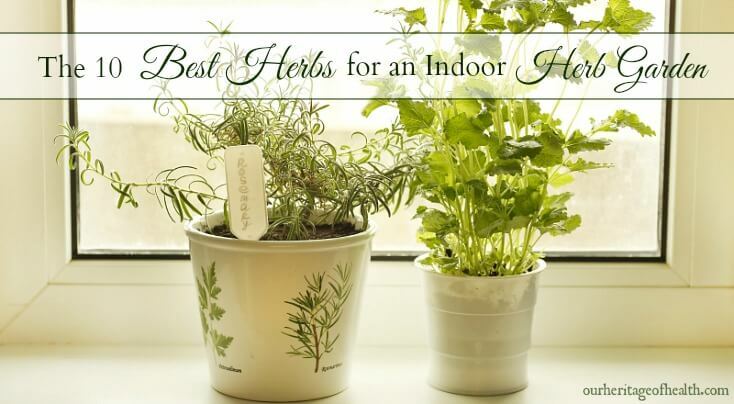 Not all herb plants do well from seeds, so read up on your herb plants before you invest in seeds, containers, dirt and the like.